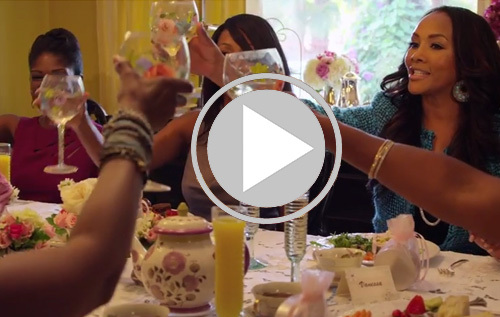 Season 2 “Ladies Tea” promises to deliver fun and fabulousness with an all new cast! Join Vanessa as she entertains her friends Loretta Devine (Grey’s Anatomy andWaiting To Exhale), Vivica A. Fox (Kill Bill andIndependence Day), Shanola Hampton (Shameless and Things Never Said), Edwina Findley (Treme and The Wire), Nichole Galicia (Django Unchained and Love Don’t Cost A Thing), and Robi Reed (VP of Talent and Casting for Original Programming at BET, Emmy award winning director and producer).